Speaking of Deviled eggs, I saw a deal at the grocery store where you crack the egg, pour it in, boil it, and it makes a perfect deviled egg. Interesting! I was trying to come up with a flavor that screamed summer. What tastes better for summer than lemonade? Well… Strawberry lemonade of course! I seriously equate the Countrytime Brand of Lemonade to my Grandma. That was what she always made. She always had a pitcher of the regular lemonade in her refrigerator, all summer long. She typically made the sugar free type. And every year when I drink that type of lemonade I remember her. I feel as if I stepped back into her old farmhouse. I could see her busy cleaning in the kitchen, the sink of water waiting for dishes so she could rinse them off and then load the dishwasher. One of her favorite tv programs on the tv whether it be a soap opera that she watched, The Price is Right with Bob Barker or the Sally Jesse Raphael show. Does anyone remember Sally Jesse? So in an attempt for a summer flavor, lemonade sounded perfect! And of course to make it better, Strawberry Lemonade. 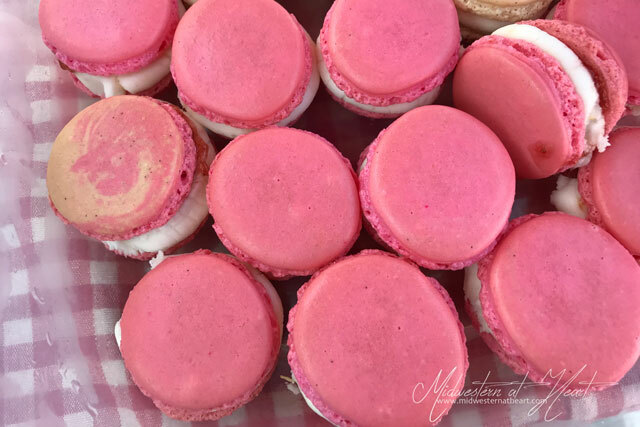 Now, I didn’t veer off my favorite Macaron recipe for these other than adding a drop of red food coloring to make it pink. The buttercream filling has real lemon juice in it as well as butter and powdered sugar, milk, and lemon zest. 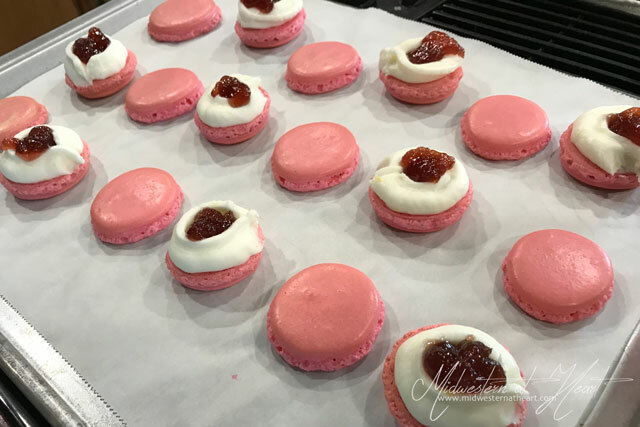 Finally, that touch of strawberry jelly in the center just makes them perfect. So if you’re looking for a real summer treat in a small little-bite-sized cookie… these are the place to be. And truthfully, I remembered Grandma while I was eating these too. It must be that lemonade flavor. They say that certain smells and tastes bring back memories. Thank goodness for the power of smell and taste! These delicate little cookies just scream summer! 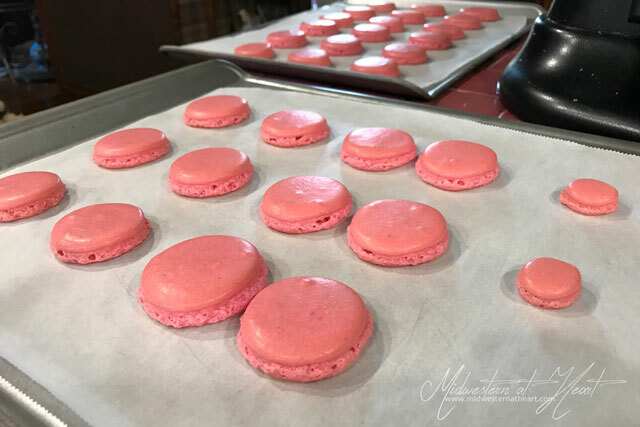 Bake your French Macaron shells according to directions. Match up top and bottom cookie shells. Add your butter to a mixer along with the powdered sugar. Turn on the mixer and beat together. It will be very crumbly. Add the zest of the lemon as well as the juice from the lemon. Turn the mixer on and beat together. Then add 1-3 tablespoons of milk or more to get a desirable consistency. You want it to be thick enough to hold shape but not so thick that you can’t get it out of the piping bag. 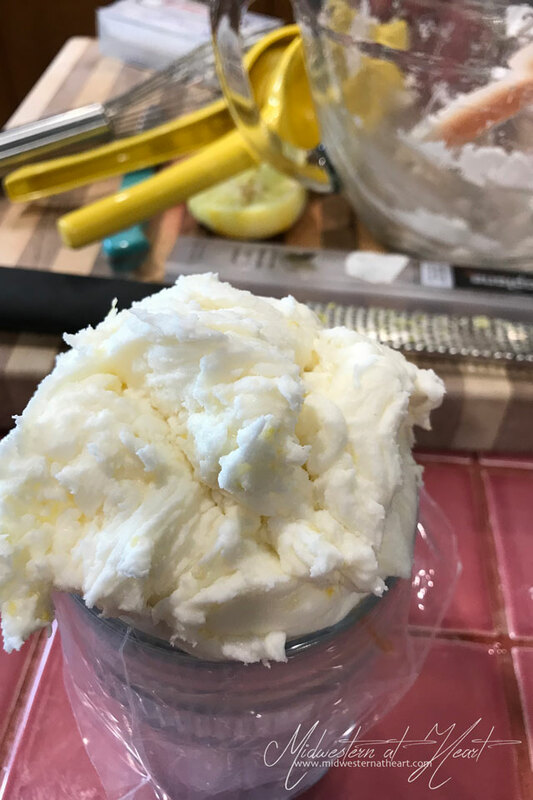 Place lemonade buttercream into a piping bag fitted with a large round tip (I used Wilton #12) or just cut a hole at the end of the piping bag. As a way to help reinforce the hole, you can place a coupler on without a tip. Pipe buttercream in a circle around the outside of the Macaron shell. Then place 1-2 teaspoons of Strawberry Jam or Jelly in the center. Jam is a little thicker than jelly, keep that in mind. Then top with the second cookie shell. Place in the refrigerator and allow to mature overnight or up to 2-3 days. Something magical happens then!